The big winner of the UK parliamentary election was Jeremy Corbyn. Prime Minister May’s party will be the biggest in the House of Commons, but her campaign must be viewed as a failure compared to her starting position. How will this outcome affect British domestic politics, the “Brexit” process, the economic outlook and financial markets? In this issue of Reflections, SEB economists Robert Bergqvist and Richard Falkenhäll present 11 questions and answers that try to explain the consequences. 1. Who won the June 8 British election? While the Conservatives (Tories) led by incumbent Prime Minister Theresa May will remain the biggest party in the UK House of Commons, May has now lost her previous parliamentary majority. Her party won 13 fewer seats than in the 2015 election, preliminary results show. But the big winner was Labour Party leader Jeremy Corbyn, who showed a surprisingly strong surge late in the campaign despite a terrible starting position. 2. How is Prime Minister May’s position affected? Winning a stronger mandate in Brexit negotiations with other European Union countries and with Brussels on the terms of the United Kingdom’s withdrawal from the EU. The outcome was that she lost a 20+ percentage point lead against Corbyn, her main opponent. With the Tories now lacking their own Commons majority, the survival of the May government and the formation of a new government are unclear. Her electoral failure also makes PM May’s future uncertain. 3. Are we on the way to a new Scottish referendum? The Scottish National Party (SNP) and its leader Nicola Sturgeon turned in a weak election performance (3 per cent of the votes) despite SNP’s clear support for the UK to remain in the EU. Sturgeon continues to call for a new referendum on Scottish independence, but has toned this down by saying it should take place some time between autumn 2018 and spring 2019, i.e. before the UK can formally leave the EU on March 29, 2019. More likely – and subject to approval from London – is that any new referendum can occur no earlier than autumn 2019. 4. Did May get the Brexit mandate she wanted? No. The snap election will enable London to continue Brexit negotiations with the EU beyond the spring 2019 deadline, without worrying about an imminent UK parliamentary election (originally scheduled for 2020). But May is weaker in the Commons than before. She will no longer seem able to pursue negotiations as vigorously. Brussels might also perceive her as weaker. Although Brexit almost vanished as a major election issue, the outcome could be interpreted as meaning that the PM does not have such strong backing for her mantra that Brexit means Brexit. The British people still appear to support leaving the EU, but the election can be viewed as reflecting their desire for a softer negotiating position against Brussels and the importance of ensuring that future UK-EU relations will be constructive and positive. 5. What will now happen in the Brexit negotiations? The Brexit clock is ticking, and 10 per cent of the already short two-year negotiating period has passed. The new domestic political situation means negotiations that were intended to begin in earnest on June 19-20 may now be further delayed. The outlook for rapid, concrete results is dim. Pressure from other parties in the Commons for a gentler Brexit policy is expected to increase. France (parliamentary elections June 11 and 18) and Germany (Bundestag election September 24) are focusing on domestic politics, while the European Commission and EU 27 are busy with “the Future of Europe”. The omens are not good for the UK. 6. What should we watch for in the Brexit process? What price the British must pay to leave the EU. 7. Will the June 8 election have economic effects? The PM campaigned on an already known economic policy programme. The Tories have given up their demands for a balanced government budget; corporate tax will be cut to 17 per cent in 2020 and more infrastructure spending will begin. Because of the election outcome, the Tories will probably need to adjust their economic policies through various deals to ensure parliamentary support. Such collaboration normally leads to a somewhat more expansionary budget. Meanwhile a weakened government may hurt the economy due to decreased stability and a less long-term approach, which might adversely affect businesses and households. 8. Is the British economy in good shape? Exporters are benefiting from a sharply (20 per cent) undervalued pound and an increasingly robust global economy. But there is an increased risk that domestic political uncertainty combined with an unclear Brexit process will hurt capital spending and private consumption. We believe GDP growth will slow to 1.5 per cent this year (from 1.8 per cent in 2016) and to 0.9 per cent in 2018. The risk of a worse outcome has risen. 9. How will the British pound be affected? The outcome was probably the worst possible for the pound in the short term, since it greatly weakens the incumbent government. Nor do we know yet how PM May will react to her weak election results. If she chooses to resign, it could create further political uncertainty that is likely to weaken the pound. But looking further ahead, the election outcome can be viewed as a reaction to the tough Brexit negotiating policy that May has pursued. If the British government is now forced to adopt a gentler policy in its coming discussions with the EU, this actually increases the probability of successful negotiations. In the longer term, this might in fact mean that the election outcome will strengthen the pound. 10. When will the British pound appreciate? Today the pound is sharply undervalued, as a direct consequence of the Brexit referendum outcome in June 2016. The currency is also vulnerable due to persistent UK current account deficits. Signs of a more constructive Brussels-London dialogue – in fact it is only a “win-win” or “lose-lose” situation for both sides – would increase the chances that the pound can regain some of the ground it lost after the referendum. But this also assumes that the UK succeeds in reaching a trade agreement not only with the EU, but all other countries. 11. How will the election affect the UK stock market? 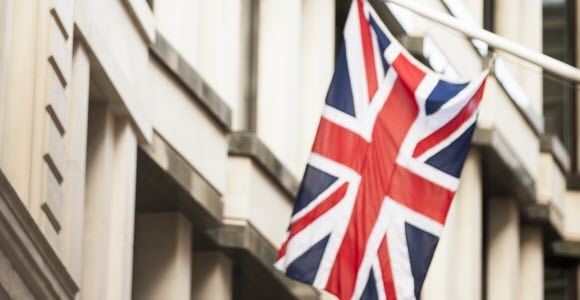 Since the Brexit referendum on June 23, 2016, the UK stock market has gained 25 per cent; during the same period, US equities (S&P 500) are up 18 per cent. The London Stock Exchange has climbed steadily since the snap election was announced on April 18 this year, even as the prime minister lost much of her lead against main opponent Jeremy Corbyn. With 44 per cent of British exports going to EU countries, a poor trade agreement – or none at all – would risk adversely impacting the UK stock market. Yet today share prices are enjoying support from global growth acceleration, cost-effective companies and signs of better potential for raising prices; these trends will also help sustain British equities.